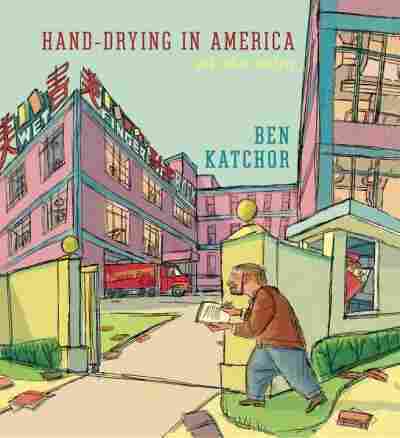 Book Review: 'Hand-Drying In America,' By Ben Katchor Comics veteran Ben Katchor's new book, Hand-Drying in America, examines the spaces we live and work in, and the ways we build and navigate through them. 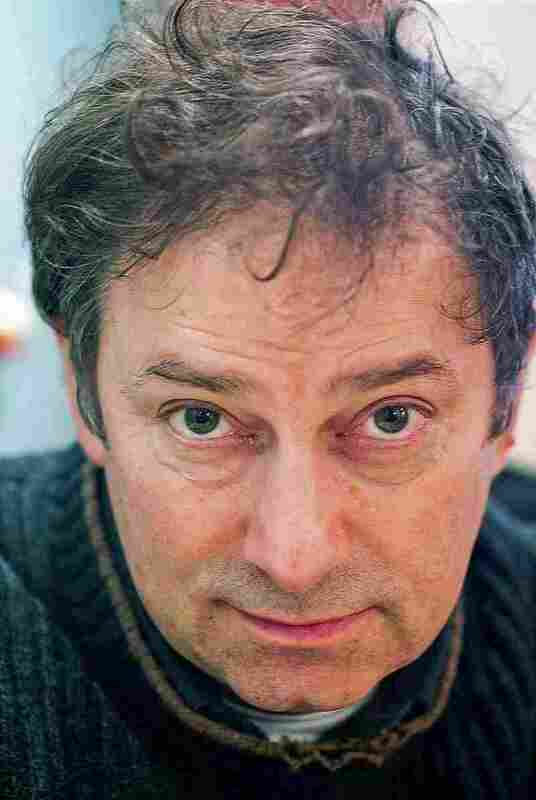 Critic Glen Weldon says Katchor's panels "celebrate the mundane world around us by revealing it to be anything but." Ben Katchor's syndicated comic strips vary in subject — his Julius Knipl: Real Estate Photographer, for example, explores the surreal underside of our urban environment by documenting the inner lives of the spaces and storefronts we walk past every day, while The Cardboard Valise reads like a Fodor's guide to a country that exists only in Franz Kafka's dream journal. What unites them, and vivifies them, is Katchor's singular voice, guiding us through his busy panels like a meticulous, dispassionate and slightly bemused Virgil. The focus of his latest book, Hand-Drying in America, is wider than usual, a collection of 159 full-page strips — most, for the first time, in color — on a host of topics related to the world we design and build: the spaces in which we work and live, and the manufactured objects with which we navigate them. Here, as ever, Katchor gently interrogates the everyday — the click of a light switch, say, or the nozzle on a can of shaving cream — and finds unimagined and uncanny depths within. Although his publisher describes Katchor's strips as "picture stories," the route he takes to explore those depths is only glancingly a narrative one. "A poem," said writer Richard Hugo in his book The Triggering Town, "can be said to have two subjects, the initiating or triggering subject, which starts the poem ... and the real or generated subject, which the poem comes to say or mean, and which is generated or discovered in the poem during the writing." The movement Hugo describes is exactly the kind that takes place in each Katchor strip — a topic is introduced and the story that grows around it follows the oblique emotional logic of dreams, like a poem discovering itself. Thus a man in a theater finds his attention drifting away from the play to the rows of lights that illuminate the aisles. He meditates on them — their wattage, their heat — and notes that the wood and leather of his armrest have been "slowly cooked." Suddenly Katchor widens out to show us others like him, individuals who have "grown accustomed to the warmth of an electrical current passing through a wire or filament." We see them in swift succession: a man resting his head on an old heating pad, another bathing his elbow in the warmth of a incandescent lamp, another lovingly placing his palm against a toaster's power cord. "The threat of electrocution," Katchor tells us, as he shows us the theater audience filing out along the aisle lights, "no longer serves as a deterrent to the wanton use of electricity." Elliptical and mysterious but never abstruse, the picture-poems of Hand-Drying in America celebrate the mundane world around us by revealing it to be anything but. Yet the nature of this celebration is cool and intellectual — Katchor isn't interested in evoking anything as sentimental as wonder, nor could you accuse him of preciousness. His approach is too rigorous for that, his language too impassive. That's why an intriguing tension exists between his rough, riotous, almost impressionistic figures and backgrounds and the voice of his captions, which enumerate salient story points with the dry, implacable plainness of a 1950s plumbing-fixture catalog. Katchor's work carves out a unique space inside that tension, striving not to unite word and image, but to get them to bring one another into sharper relief. Happily, Pantheon has given Katchor's dense strips the room they need to breathe; Hand-Drying in America is a large book, roughly the size of a tabloid newspaper. Not only does this make it easier to appreciate Katchor's backgrounds, stuffed as they are with peculiar signage ("Putti Dental," "Surd," "Cowlick," "ANKLE SOCK"), but it also encourages us to linger over these pages and the rich, wry and quietly remarkable worlds they contain.